Come join Steve Maxwell for a day of higher learning in physical mastery! So... you've purchased Steve's Joint Mobility downloads. You follow him on Instagram, Facebook and Twitter and wonder how does what he does--now is your opportunity to live it for yourself, to expand your own mobility and movement patterns to a whole new realm - a seminar where the rubber mat meets the road! 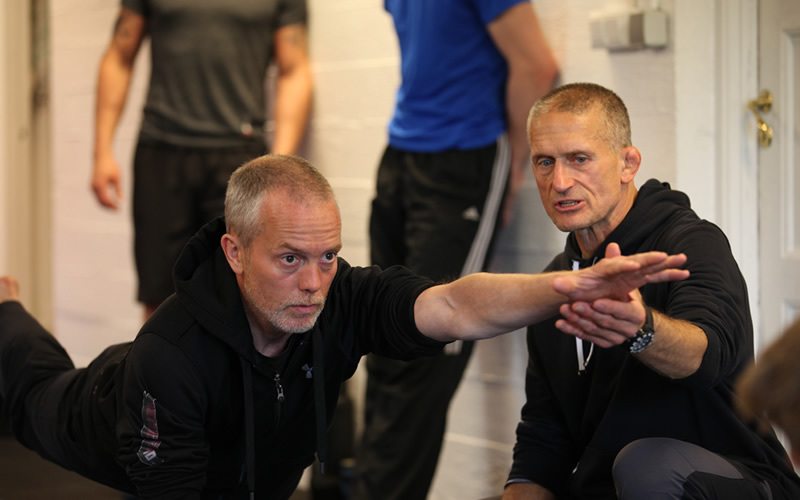 Steve offers his guidance on the journey to a deeper level of understanding of principal movement patterns and how best to apply them to your own mobility-conditioning, general strengthening, recreation... and day-to-day living. Steve Maxwell's Bodyweight Certification is based on the principles of proper bio-mechanical alignment and technique for all the major pushing, pulling, squatting and low back/core exercises used in bodyweight exercise as resistance. This is a teaching and coaching course, in that there are no performance requirements outside of demonstrating a knowledge of proper technique. The primary concern is teaching candidates progressive loading using bodyweight as the load. Come prepared to be inspired, sweat and enjoy!